Kaz Photography / Getty ImagesMichy Batshuayi of Marseilles. Britain’s decision to leave the EU in Thursday’s referendum is already having a massive impact on financial markets, but it could also significantly affect football transfer deals too — thanks to the freefall of the pound. The currency hit a 30 year low this morning, falling 8% as a result of a confirmed Brexit. It is now worth $1.36 and €1.24. Transfer deals which could be affected include West Ham’s bid for Marseille striker Michy Batshuayi, Sky Sports reports. The Hammers have reportedly made an offer worth £28.25 million, which as of Friday morning comes to €35 million. Marseilles is now in a position where it may want to wait to see which way the pound goes — if it drops further then the club would receive fewer Euros and drop the deal. 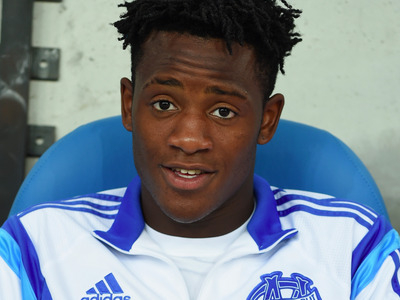 Batshuayi attracted Premier League attention after scoring 24 goals for Ligue 1 team Marseille last season. He is best known for his efficient finishes and ability to use both feet when dribbling and shooting. So far he has been coy about any Premier League deals, recently telling Sky Sports News HQ that he would wait until after Euro 2016 to make a decision. Another transfer deal that may have suffered from the declining sterling currency in the last month is Tottenham Hotspur’s bid for Vincent Janssen of Dutch club AZ Alkmaar. Sky Sports reports the striker was given permission to negotiate with Janssen, but ultimately the club couldn’t meet the Alkmaar’s £16 million price tag. In more concrete transfer news, Leicester striker Jamie Vardy confirmed he was staying at the club with a new four-year contract. It ends speculation that he might move to Arsenal, with reports later adding that he was not a fan of the team’s possessive style, compared to Leicester’s more counter-attacking mode of play.